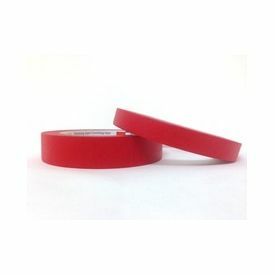 CARPRO AUTOMOTIVE MASKING TAPE 1" (30% MORE) CarPro automotive masking tape is the perfect tool to protect your trim or sensitive areas while polishing and are perfect for automotive paint masking as well. Before you polish mask the adjacent trim and make the most important step that much easier! Our masking tape provides excellent adhesion during use, yet pulls off clean with no residue when ready. It contours perfectly to curves and bodylines and is offered in 2 sizes (1/2" and 1"). The specifically formulated adhesive sticks to most surfaces (including EPDM) and removes clean for up to five days. It also has excellent resistance to paint bleed-through and temperature resistance of up to 250ºF (short term exposure). CarPro masking tape is manufactured in an ISO 9002 registered plant to meet worldwide quality standards. Make precision detailing a breeze and begin using CarPro masking tape today!